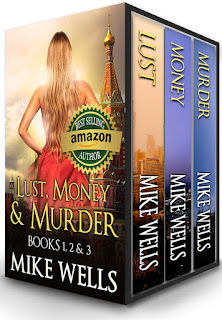 Mike Wells Official Website: Should You Go the Traditional Route or Self-Publish? Should You Go the Traditional Route or Self-Publish? When you start thinking about this question in depth, it can get pretty confusing. I personally spent many years mulling it over and experimenting with both approaches. But when you get it all untangled, the answer is pretty simple. You should seriously consider self-publishing if you have an entrepreneurial personality. What do I mean by that? By having an entrepreneurial personality, I mean you’re the type of person that has very strong feelings about anything you create, not only about how it is made, but how it is packaged, marketed and sold to the customer. You like to make all those decisions yourself. You like 100% control over everything you do. You are naturally good at presenting yourself, and anything you create, to other people. You are probably not a very good “team player.” You believe you are right most of the time, even when you’re not. And you probably (if you’re like me) loathe bureaucracy. There’s nothing that gets on your nerves more than long, boring meetings, and you especially hate decision-making by committee. What does all this mean? It means that if you have an entrepreneurial personality, you’re not likely to get along with big publishing houses whether they want to publish your book or not. Big companies are bureaucracies, and they are going to do things their way. And why shouldn’t they? It’s their money that’s being invested! Would it be any different if your were an inventor and took your brilliant new gadget to a big company and wanted them to license it, manufacture it, package it, and market and sell it through their existing distribution channels and pay you a royalty for each unit sold? No. It’s exactly the same situation. Big Company thinks they know best, and they are risking their money, so naturally Big Company not only expects but demands to have control over every aspect of the product that affects their return on investment. Now, this doesn’t bother some people at all. Many writers say “Fine, I understand that, it makes sense—I would do the same if I were in their shoes.” And these writers are able to comfortably work with the big publishers and often achieve fantastic results. If you are one of those people (I’m not), I envy you. I would strongly recommend that you go the traditional publishing route and persist, persist, persist until you break through and land that good agent, and get that sweet offer (with all the strings attached) from Big Publisher. (I have lots of helpful articles about that process here). However, if you are not one of those people, you should consider self-publishing. I’m quite sure if I were ever present in a committee meeting at Random House where they were discussing the packaging of my book, I would end up stabbing some button-down executive to death with a letter opener. There is one exception I would add, though, and it’s an important one. If you are the type of person who can get along well with Big Publisher (and you intuitively know this even at this moment, even if you’ve never had any contact with one), there is a case when you may still want to self-publish. That would be when you’ve made a truly valiant effort to go the traditional route, but you continue to be rejected, not due to the quality of your writing, but because the publishers don’t believe there is a large enough market for your work (large enough for them to make their money back plus a profit). In this situation, you can self-publish your book for the sole purpose of proving the market for it. If you can sell an impressive number of copies of your book on your own, agents and publishers will start getting interested. I’m not talking Amanda Hocking’s or John Locke’s numbers—10,000 copies are enough. Then, as Amanda Hocking has done, you can switch over the traditional route and let other people handle most of the editing, packaging and promotional details of your book. Is 10,000 copies a lot of books? Yes, it is. And that’s where the downside comes in—if you don’t have an entrepreneurial personality, you may find that selling even 1,000 copies is beyond your capacity. So, in that case, it’s best to stick to the traditional route and persist, persist, persist. I hope this helps. As always, comments are welcome. Note: I offer mentoring, story editing, book cover design, interior layout, and other services to authors, time-permitted. More information here. I don't see myself going the trad route. I have already self-published 9 books about autism in french, and I love the process and being the one making decisions. Just like I don't see myself working for someone else again, now that I have been my own boss. I think the success is not how many books or e-books you sell, although it's always nice to touch a lot of other people: it's the journey. The journey to do what the hell you decided to do, the thing that makes you feel your life has been worthwhile. I can't quantify it in number of sales, but I certainly can say I made a good start with what I want to do with my time on earth. Great post :) I actually have gone both routes. I write NF educational books, historical novels and picture books. I have an agent; I have a NF book out that was published traditionally and I have a novel and another NF book repped by my agent that are making the submission rounds with editors. But I self-publish my picture books - for a variety of reasons. I do really like the control I have with the self-publishing. Especially for a picture book. I was able to choose my own illustrator, someone I knew well who I was able to work very closely with on each and every illustration. That wouldn't have happened with a big publisher. There are pros and cons to both routes, things I enjoy and things I don't like so much about both. I do love that I have the option to self publish though, and I feel it was definitely the right route to go for my picture books. Many thanks for the comments, Nathalie and Michelle. About your comment, Michelle, I think I would be able to publish NF the traditional way as you have, as (presumably) the publishing house editor would have expertise in the subject matter and would be a good person to have some say so over the book content, etc. However, fiction is art, and what makes "good" art is highly subjective. I've yet to come into contact with a fiction editor that doesn't try to put his/her subjective spin on my book. Can't deal with that. What a breath of fresh air, Mike. Very insightful post on self-publishing. While good technique is important, it's futile to force your writing into a mold that isn't you in the hope of attracting a publisher. That publisher wants something "original" in the first place, but might be afraid to take a chance on something new and different (like Amanda Hocking), until proven. I line up with everything you describe about the entrepreneurial personality, so you've given my ego a boost and made me more confident about the decision I've made to self publish. And so have Nathalie and Michelle. Except maybe this sentence. "You are naturally good at presenting yourself, and anything you create, to other people." But I can work on that. I've done both...self published and ghost written manuscripts for some pretty popular authors. I guess I prefer being self-published when it comes to e-books. If I'm talking about doing print work, then I would go the traditional route. There's not enough profit margin in print runs for the small fry, in my opinion. i think it is important to note that the self-publishing writer is spending a fair amount of his/her time in marketing and promotion. This is exactly the sort of thing an entrepreneur must do if s/he's going to start a company. Many of the notions of "lean startup" apply very well to self-publishing. At a lean startup conference i attended recently, a speaker indicated that he had put up a blurb for an unwritten book he was considering writing, and after he got 600 responses asking for it, he knew writing it was worth the trouble and had a good idea what to expect in the way of sales. I suppose one could take this data to a traditional publisher when pitching a book. (It would signal the editor that s/he is dealing with a business person, as opposed to an "artiste.") But you could just as easily use it to guide your self-publishing efforts. Wonderful post, Steve. I'm ticking close to 10,000, and you just made me smile. It's a milepost I will celebrate. But my friend is ticking toward 60,000 right now, with 3 books I published for her. A 4th book is sitting at her first publisher, a traditional house, that has sold next to nothing due to an horrendous cover. It's a great read! But languishing behind a yucky facade. We can't wait to get the rights back in another year and do justice to her great story. Thank you for being such a strong, sane voice for indie authors and publishers! Wonderful post, MIKE! Fingers got ahead of my brain, obviously! But I say again, thank you for your sane voice and sharing nature. Soooo glad to hear someone say the things that I have felt in my gut for years now. I truly despise the "dance" one is forced into with the traditional agents and editors. Several people I know were forced to change their story or characters in such ways just to get a promise of publishing (which in the end didn't turn out). Thank you for addressing this topic the way you do! The one thing I'd add to all this is that it's better if you have some entrepreneurial spirit even if you do get a traditional publisher. At the very least, you have to be prepared to self-promote. A very good point, Alison. Traditional publishers are not known for giving new authors much promotional support. Thanks for the addition. Well said! And an entreprenurial bent does not always mean you can't work with other people (or don't wish to). I think the two are compatible, but not always present, in the same person. That being said, I agree with Alison - most authors need that independent spirit, no matter what route they take. Even making the decision about the route is taking control of your career - something every author should do. awesome post, it makes me lean more towards self-publishing (besides being a bit entreprenuerially minded I am a control freak)! Thank you for this post. It got me thinking about the two books I'm working on--one lends itself to traditional, the other to self pub, I think, after reading your blog. OK, I'll add a concept of my own here that I think complements yours. Here's Susan's non-research-based Theory of Parenting: Actively parent in a way that is not intuitive. For example, if you have a controlling personality, lean way toward laisez faire with your kids. If you tend to be free-form, go for a structured approach. You'll never go too far in an opposite direction because your essential personality won't allow it. And your children will be more balanced. 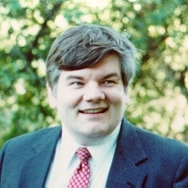 Sold 8 novels and a novella to an imprint of Penguin Putnam. Felt powerless and angry alllll the time -- although also, of course, incredibly proud and thrilled. An odd mix of emotions. When I switched genres my agent couldn't find a publisher for novel #9 -- I eventually sold it myself to an e-publisher, made next to nothing, then got my rights back and self-pubbed. At that point, I had zero expectations. But I have now made as much on that book as if I had sold it to a print publisher. I love the freedom - the total control - the instant feedback - tracking my sales in real time - quick payment - and gee, I'm so easy to work with! LOL! I have no idea why you would avoid the traditional route. You submit your manuscript to a bunch of publishers see what feedback you get -if any- Let's say you get an offer, if its not enough money don't take it and self publish. I really believe that if absolutely NO publisher will publish your book theres probably something majorly wrong with the novel. I'm not talking 15 or 30 rejections I mean 50 or 60. Even great authors have been rejected by 15+ publishers. If you genuinely feel in your heart that its good self publish it who knows. I mean John Locke sold a million Donovan Creed novels... And I cant even understand what's written on those books. Maybe I'm just used to authors who have long since passed. Good post. Currently going the trad route myself, although the SP route certainly has advantages. Even though I prefer working with a publisher, I'm glad not everyone feels the same way, or I'd have missed out on some fantastic SP books that would never have been printed. Write on. Great post, Mike. I too have deliberated on what to do with my books. I guess I am entrepreneurial - at least a little bit! I have ended up self publishing my last book and will probably end up doing the same with the next one. I take your point - though I think that, even as a self-publisher, one is foolish to turn your back on all help with a book. I have had my book copy-edited, and was amazed at just how many mistakes she found in what I had thought was a perfect manuscript. Prior that a mentor had helped to steer it from fairly turgid prose into something more entertaining. I'm still going to self-publish, but I've had a lot of help along the way. Sorry about the numbers and letters on the above post instead of "Teri Heyer." Something is wrong with AOL/AIM this morning. I've tried it both ways. I'm entrepreneurial, but managed to work with a publisher for over six years. It was a great learning experience but I'm back running the show myself for my new book. I really like your post Mike, I recommended you to a friend, she has been searching for the answer how to publish, and I have too. Thank you so much Mike. I am starting to learn to draw and paint, illustrations and write children's books, I pray that I can do this the right way. Thank you! This article has helped me determine which direction to put my energy in next. I guess I am or have an entrepreneurial personality. From way back to elementary school I hated "Group projects" I thought they were tedious and annoying. In my mind only I could do it right and giving other kids. I thought all the other kids were messing it up. Having to "agree" with others on how our project looked made me so mad and I thought group projects were stupid and pointless. I ended up trying to control the whole scene. I did that every year as a kid and hated it when my teachers would announce "Team projects!" i'd groan. Most of the time i got paired up with a couple of kids with zero creativity. I would hate for a big publisher to screw up the cover design of my book or to improperly market it. Of course I don't have anything ready to be published and my stuff is only for kids and tweens but....anyway im pretty sure my way is the right way. sorry about the poor typing. my son decided he was going to rip out my keys so hitting shift is a chore sometimes when there's no physical key there. Self publishing sounds great. I get ideas in my head and write them down right away. Are these methods true for short story and children books? Those are my main focuses. I'm just not sure who to contact and how to get started, without getting scammed. Great post, Mike. I've gone both routes and will continue on that path as I've had success in both areas. I've seen previously unpublished authors take the bull by the horns and achieve great success through self publishing in order to gain attention from the publishing community. It's just another way to market you work. But like you say, you need to have that entrepreneurial spirit. Otherwise, your efforts fall flat. Sadly, I've seen that as well. Thanks for the post. Significant. It is all a matter of what you can do and what you are motivated to do. And by the time it may take to find an agent, sell the book and then have them publish it...you could have self-published and promoted and sold yourself a year sooner getting a leg up. Also, publishers do very little promoting/selling now...unless you are the president or have a celebrity, platform. So in effect, what you are getting in return, sharing your profits on all of your sales and promotions and expense to travel, etc., is actually, good for them...they get a percentage of your hard work and sales...and what have they done that you couldn't do? Much is in the favor, not yours. Joined your site, at some point would love for you to return the favor. You said a lot of sensible things, but the most important in my view is: "... you can self-publish your book for the sole purpose of proving the market for it." Yes - I agree. When authors do not write tightly within a category or genre, they need to summon a readership themselves. But, in your parlance, this is no mean feat!! I have a boot in both camps, and it suits me so far, although sales of my independently released titles are far more volatile than the ones in the hands of a publisher. Still, nothing is set in stone: the market, readers, authors... everyone is still feeling their way in the dark, because changes have been so radical since the middle of 2010. It will all come to some sort of temporary stasis, and then it will change again. In the meantime, we are all doing our best to turn out the highest quality work we can, no matter how we send it out to be read by the world. Thanks again Mike. Another re-assuring piece. It's great that the age-old '1% of submitted manuscripts ever get published' line is now not so daunting. I can self-publish my novel and work my socks off, gaining pride, strength, confidence and experience along the way and 'meeting' some great people with excellent guidance and advice like yourself. My debut novel is due to hit Kindle et al in the next month or so, and I've picked up so much toward putting together a marketing strategy from advice from successful authors online. This is so much better than waiting three months for a rejection letter with no feedback! The 21st century and the age of the Internet has really made a difference to us, and to the future of book reading and publishing. Thanks again! Mike: Great post! Thanks for laying out in plain and simple English. I'll be referring back to this post again and again. Thank you! hi Mike!!! this is really very interesting post! very helpful and you have the point. it is also very hard to trust and let your work to be commanded by others. but it is not also easy to do all things by your own. need alot of courage, patience and time! you did a great job! i'm already trying to get one of your book in amazon.it hopefully can get it soon!!! I went the SP route with my first novel, partly because it was about the first year of the Civil War and I wanted to release it for the sesquicentennial--the glacial pace of publishing wouldn't have allowed that to happen. It has been successful--I have gotten good reviews and have sold over 500 copies. I have been pretty active in the self-promotion--yes, entrepreneurial!--and have done quite a bit, but I still have (perhaps pipe) dreams that a traditional publisher would do more. My new novel has more mass-market appeal I think (CW gets pigeon-holed easily) and I'm in process of trying to find an agent--it is historical magical realism, so people are nervous if they haven't marketed this. No route is easy! My biggest challenge is that my 'day job' is being CEO and principle consultant of my own company--that is also entrepreneurial and takes plenty of time . . . deciding how to balance these two passions of mine is the challenge. The writing is my true love, but the consulting business does provide faster ways to pay the bills! Would a traditional publisher improve this balance if I found one?? We'll see! Great post. I have long been mulling over this exact issue but on reading your post I think all has become clear to me (*see sudden image of herself stabbing aforementioned publishing executive to death) Self publishing it is then! Thanks so much Mike. I recognised myself in your description, and it has removed any lingering doubts I have had about taking this path for my first novel. Bang on. I was on the traditional path. My writing partner and I won the lottery and landed a dream agent who enthusiastically submitted our mss to the big six. If there's such thing as "good" rejection letters, that's what we received. So now what? Self publish? Isn't that what people do when they're writing isn't good enough for real publishers? That's what I believed. Surprise. The learning curve is steep but as a veteran entrepreneur, it suddenly makes a ton of sense. We'll see what happens in September when we launch the first novel of a five book adventure science fiction series! Ugh..."they're writing". Their. I'll ignore my comma placement. Note: Finish morning caffeine before commenting publicly. Great post, Mike. I decided to self-publish my novel right from day one...though as it turned out I have entered a co-operative programme at a local small press, so it's not exactly self-published as it did have to be accepted/approved. My reasons for going the indie route were multiple--one, I am impatient! It could take me a year to get an agent, six months or more for a publisher to decided yes or no on the manuscript, and then 18 months to see the book in print. I was also scared I would end up with a ghastly cover that would put people off or give them the wrong idea. My novel STONE LORD is set in prehistoric bronze age Britain...I had horrible visions of a cover filled with shaggy cavemen or bulging-thewed barbarian types in loin cloths! Or worse, because the book used Arthurian themes, they might get it altogether wrong and draw knights and medieval ladies! I also have based much of the story on actual anthropology/archaeology of this period, and didn't want someone fiddling with that aspect because they thought it was too 'dark' and not 'new agey' enough. I put up a blog to gauge interest and have had over 3000 hits in around 6 months even without a product. I am quite looking forward to doing the self-promo when the book actually comes out later this year; it's kind of a fun challenge! Have you ever thought of basing a book around this statement? "I’m quite sure if I were ever present in a committee meeting at Random House where they were discussing the packaging of my book, I would end up stabbing some button-down executive to death with a letter opener." There is huge potential for a novel here, and I'm sure all self-published authors would buy it! On a slightly more serious note, one thing I'd hate to have to change are my book covers. They represent the book as I understand them, not as some illustrator 'assumes' they are about. An interesting post Mike. Thank you for the interesting article. I've just published my first novel (fiction) on my own through amazon, which I've heard is the new Big Dog. I'm very new to the process, and trying to learn everything I can to edit, market and sell my book. I don't consider myself a marketing type, but I certainly like to have 100% control over my work. I'm sure if you sell a lot of books on your own, and crunch the numbers you end up walking away with a bigger profit than if you went with a Big Company - without a doubt. That's good information; the approach is everything and how much drive and ambition you put into work. Mike, I think I am going to have to prove the market for my book. It is different, therefore I expect traditional publishers to be reluctant to take the risk, but I know the market is there. I'm working on the traditional route, but am almost ready to self-publish. I'm planning on using BookBaby, but read some negative reviews today, so more research needed!! Great post! I self-published in October and for all the reasons you listed here. I do not get along well in any kind of corporate situation - the bureaucracy makes me crazier than two hens fighting over a rooster. (If you've never seen that, it's quite fascinating.. but I digress). It's a challenge to self-publish and I love it. There are times when it can be lonely but then great people like you come along offering insight and sharing their experiences which give hope and inspiration. Thanks Mike! Part of me wants to run the gauntlet of a traditional publishing house to say that I did it (whether is would be for me or not). That experience, as daunting as it would be not to mention heartbreaking at times I suppose, would be invaluable on my path of writing experiences. But the part of me that doesn't play well in the sandbox of life thinks self publishing, also daunting but less heartbreaking I suppose (although I'm sure there are stories out there) is the way to proceed when the time comes. I consider the changing face of publishing. So many traditional houses have slush piles that could probably surround the earth a few times, I would have to think that to get to the top of that pile one would have to have blind luck. I never like to say no to anything, in my mind if I don't try I will wonder 'what if'... so I try. This was a wonderful informative article. Thank you for sharing. Thanks for the post, Mike. It's been a verification for me as to which route I should choose. Being a PN writer in a saturated field, I was fortunate to receive an offer from one publisher and some great advice from another (I only submitted to seven publishers). While both loved my book, one wanted too many changes, while the other was ebook only. (I liked the option of POD). Anyway, the decision was easy after that - go indie! My book comes out in May. Great post. As a self published author, I found a lot of very useful information here. I don't know, Greg, good question. I have no experience with the medium and small publishers, but I don't think they are anything new, have always been around, at least since the early 90's when I got my first agent. I personally don't know any success stories from people who used this route but there very well may be some. I read your post and found it fairly balanced, however you did not mention the financial differences between self-publishing and traditional publishing. The self-published do get to hold the reins and control the process, but they pay the publishing costs involved to that process and the costs of any and all promotion of the book. From what my research has shown these costs can be quite high depending on the choices made by the author. Traditional publishing does not allow full control, but contracts can be negotiated that allow an author to make decisions relating to the publishing of his work. Traditional publishing pays the author an advance against estimated royalties. If you self-publish, which I do, you must know your team: editor (s)(friend, perhaps) for conceptual and copy, designer, and it helps to have a promotional strategy. Self-publishing doesn't mean doing everything yourself just like a solo entrepreneur may still want to use a bookkeeper, marketing person, etc.